Trainer John Gosden has named Epsom Downs Racecourse's Coronation Cup as a likely starting point for superstar Enable to begin her 5-year-old campaign, AtTheRaces.com reports, with the May 31 race the first stop on the road to a potential three-peat in the famous Prix de l’Arc de Triomphe. 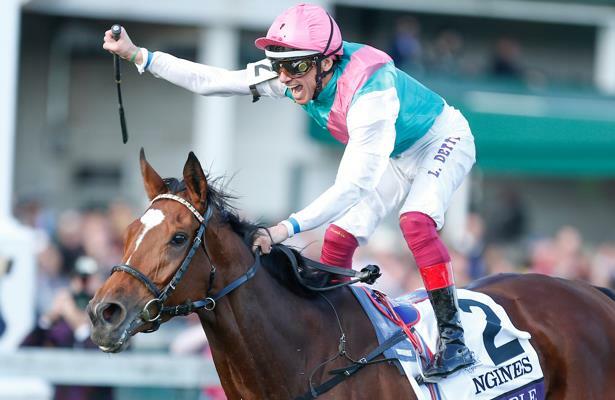 Enable, who built on her legacy last year, becoming the first horse to win both the Arc and a Breeders' Cup race in the same year, will tackle her 10th straight test in Grade/Group 1 company in the Coronation Cup. She has previous experience at Epsom, an English circuit, having won the 2017 Epsom Oaks there. Owner-breeder Khalid Abdullah confirmed that the daughter of Nathaniel would race on in 2019 only weeks after her Breeders' Cup Turf win in November at Churchill Downs. Enable will chase history in this year’s campaign, as no horse has ever won three Arc titles.